With the rapid growth of emerging countries in last decade combined with rising population the demand for electricity is set to grow on average by nearly 3% per year over the current and next decade. Moreover, this moderate growth will exaggerate the power demand by more than half of its existing capacity between now and 2030. Residential market for circuit breakers will showcase the strongest improvements through 2024, strengthened by yearly increases in construction spending in developing countries. Moreover, circuit breakers demand for the energy and utility sector will also grow significantly in coming years, in-mid of growing electricity demand and rising investment for developing power grids and new power projects. Goldstein Research analyst forecast the global circuit breakers market to grow at a CAGR of 4.8% during the period 2016-2024. Further, the global circuit breakers market is predicted to reach USD 8.9 billion by the end of forecast period. Geographically, Asia Pacific region dominated the global circuit breaker market, accounted for more than 28% revenue share in global market owing to huge government expenditure over energy sector and rapid urbanization. High growth regions, including Eastern Europe, the Middle East, India, Asia and South America, also pose high growth opportunity for the market growth. On the basis of end users residential sector dominated the global circuit breakers market with more than 40% market share in 2016. The segment is projected to remain dominant over the forecast period, with CAGR of more than 6.0% over the forecast period. The report covers the present ground scenario and the future growth prospects of the circuit breaker market for 2016-2024 along with the total revenue of circuit breaker manufacturing industry in every region. We calculated the market size and revenue share on the basis of revenue generated per segment, regional and country level. The revenue forecast is given on the basis of number of circuit breaker manufacturers and current growth rate of the market. Global Circuit Breakers Market Outlook 2016-2024, has been prepared based on an in-depth market analysis from industry experts. The report covers the competitive landscape and current position of major players in the global circuit breakers market. The report also includes porter’s five force model, SWOT analysis, company profiling, business strategies of market players and their business models. Global circuit breakers market report also recognizes value chain analysis to understand the cost differentiation to provide competitive advantage to the existing and new entry players. Our global circuit breakers market report comprises of the following companies as the key players in the global circuit breakers market: ABB, Siemens, General Electric (GE), Schneider Electric, Crompton Greaves Ltd., Mitsubishi Electric Corporation, G&W Electric Company, Maxwell Technologies, Powell Industries Inc. and S&C Electric Company. According to our global circuit breakers market study on the basis of extensive primary and secondary research, one of the major trend that driving the growth of circuit breakers market is large scale projects in developed regions for the modernization of outdated and inadequate power and supply network of electricity in developed regions. For instance, U.S is making significant investments for up gradation of its existing power generation and distribution infrastructure, which is likely to likely to create significant demand for advanced high voltage circuit breakers. 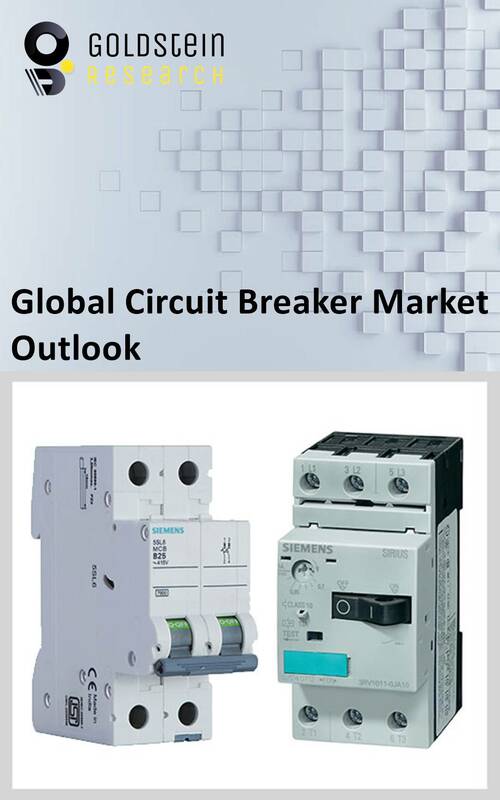 According to the report, major driver in global circuit breaker market is growing construction activities and significantly rising demand for electricity which has pushed the demand for circuit breakers which are widely used in every industry from food and beverage to steel, automobiles, pharmaceuticals and chemicals. Energy and residential are the major end users for the circuit breakers which is likely to create huge demand over the forecast period. Further, the report states that one challenge in global circuit breakers market is high cost of raw materials used in circuit breakers and highly quality circuit breakers with longer life span which is likely to obstruct the demand for new circuit breakers as the demand for replacement products will decline over the forecast period.